Many individuals today are using rowing machines as a tool to achieve an intense full body workout. These machines use a sliding motion to build your arm, back, abdominal, and leg strength quickly and efficiently. The Lifecore R88 Rowing Machine provides an incredible gym-quality workout conveniently in your own home. Lifecore has been producing reliable and affordable exercise equipment for the last fifteen years, and the R88 Rowing Machine is no exception. Some of the features of this machine include a large LCD computer display, eight levels of magnetic resistance, a cooling air vent, and a solid steel fan and flywheel. When in use, it measures 55x24x33 inches, although it does fold up for convenient storage. If you have a competitive edge, The R88 also offers race programs that you can participate in while completing your workout. Currently priced at $699.00, this machine can be an affordable solution to your exercise needs. There are many advantages to purchasing the Lifecore R88, some of which are mentioned below. Foldable Design:One of the major benefits of the Lifecore R88 is the fact that it is designed with space saving in mind. This product folds up for easy storage and requires only a space that measures 16 X 24 inches in order to be stored properly. 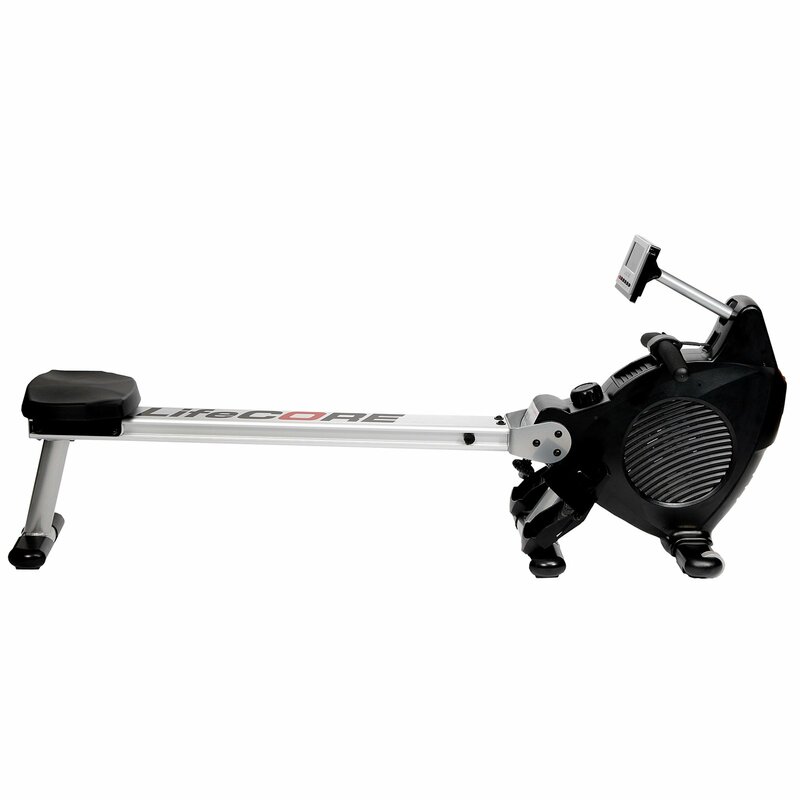 Price: Although $699.00 seems like a lot of money, in comparison to other rowing machines on the market this product is extremely affordable. Competitors are priced almost $200 above this machine and offer virtually the same features and amenities as the Lifecore R88. Plus, if you consider the cost of a gym membership that you are saving, this product seems even more affordable. Comfort Seat: For many, comfort is a key factor in determining how often a piece of exercise equipment will be used. There is nothing worse than being uncomfortable before you even begin your workout! The Lifecore R88 has a solution to that problem with an extremely comfortable seat design. The large, ergonomically designed seat was created with comfort in mind so that you can focus solely on your workout goals. Warranty: Finally, one of the strongest benefits to this machine is the warranty that comes with the product. There is a lifetime warranty on the frame of the R88 and a two year warranty on any parts that break. Knowing that a solid warranty backs up this already reliable product should make you confident in the purchase of the Lifecore R88 Rowing Machine. Though there are many advantages to this machine, there are also a few drawbacks that are worth mentioning. Illumination on LCD Screen: Several customers of this machine have indicated that the LCD screen is not as bright as pictured in many advertisements. If you plan to use this machine in a poorly lit area, it might be a good idea to set up a lamp nearby so that you can see your statistics clearly while using this rower. Maximum User Weight: Because of its foldable and lightweight design, the R88 does have a maximum user weight of 300 pounds. This could be an issue for individuals who exceed this weight limit. In conclusion, the Lifecore R88 Rowing Machine is an economical and reliable choice if you are looking to add the benefits of rowing to your exercise routine. While many rowing enthusiasts recommend products such as the Concept2, the Lifecore R88 offers similar features for significantly less money. Even though the weight limit and LCD screen could present minor issues for some individuals, these drawbacks are far outweighed by features such as the comfort seat, foldable design, and dependable warranty. Overall the Lifecore R88 Rowing Machine is an affordable piece of exercise equipment that will allow you to see results quickly in the comfort of your own home.